Living in an age where information is merely a click (or swipe) away, we are inundated with metrics. Quantitative data is directed our way at alarming speeds leaving us unable to comprehend and digest it all. By the time we wrap our mind around the latest statistical trend, we’ll likely be presented with another set of variables and numbers. It’s not entirely surprising to find metrics dominating our discussions of national or global issues. Now, however, we can’t even make an online purchase or select a restaurant off Google without being subjected to 5 star ratings. 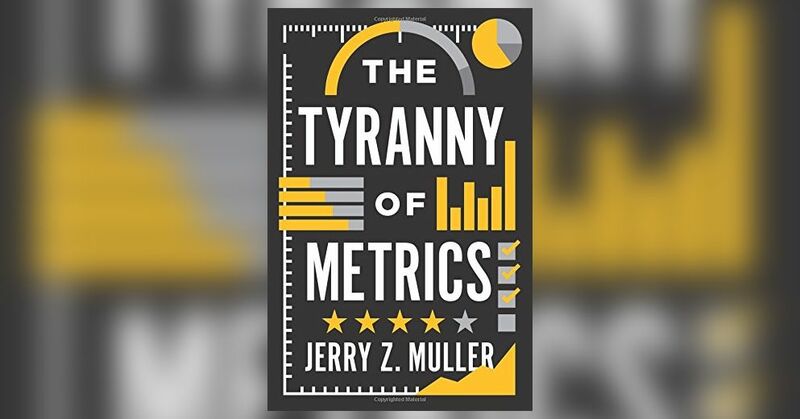 In his recent book, The Tyranny of Metrics, Jerry Muller addresses the phenomenon of what he calls “metric fixation” (p. 17). Muller argues the cultural fixation on quantifiable information affects the way individuals think about, talk about, and act within the world around them. In essence, quantitative data has a formative presence within our lives. Statistics burn a particular narrative of experiencing the world into our imaginations. Muller argues that we tend to shape our lives in accordance with metrics, yet we do not take the time to adequately critique the numbers we consume. For Muller, metric fixation is a phenomenon that ought to be soberly acknowledged and evaluated. I was fascinated by Muller’s approach to the subject of metrics. He works as a department chair of a history program at a private college—not an obvious position from which to address metrics’ tyranny. Yet he reflected on how, “Microlevel discontents led to macrolevel analysis,” as “I found my time increasingly devoted to answering more and more statistical information about the activities of the department, which diverted my time from such tasks as researching, teaching, and mentoring faculty” (p. 9-10). Clearly, Muller has a score to settle with educational assessment. And herein lies, in part, the brilliance of this text as Mueller demonstrates to his readers the value of systematically analyzing an area of interest. Muller doesn’t have an axe to grind with statistical analysis in and of itself, but more so with how we as a culture abuse them. Overall, Muller offers a comprehensive account of how metric fixation both positively and negatively influences culture. I found the book to be both accessible and thought provoking. Muller initially sets up his argument followed by the background of how metrics rose in popularity. The content in these portions of the text is rich with historical accounts and serves to clarify Muller’s distrust of quantitative data. In the later sections of the book, Muller address metrics’ tyranny in individual sectors of society. From education to medicine, the military to the police, and businesses to philanthropy, quantitative data infiltrates these cultural pillars. Muller doesn’t have an axe to grind with statistical analysis in and of itself, but more so with how we as a culture abuse them. There are clear and articulate sections wherein he states the benefits of metrics. However, he cautions readers and calls to our attention the ways in which metric fixation tyrannizes our day-to-day experiences. Take higher education for instance. Be it institutional or individual academic rankings, metrics tend to have the final say. An institution’s data is used to measure itself against competing colleges and universities. Areas such as student performance, graduation rates, or post-graduation income and earnings, all impact an institution’s placement on a global ranking system. Again, these metrics in and of themselves are not bad. Yet, these measurements rarely reflect the prime educational mission of an institution. The danger comes when administrators and board members begin to alter an institution’s mission to attempt to raise its academic rankings at the cost of quality research and teaching. Likewise on the individual level, faculty members are measured by how many publications they produce rather than the quality of their publications. If the reward is in the quantity, why take the time for meticulous writing that is worthwhile? Academic journals and library shelves then become filled with inflated scholarly work. Muller clearly demonstrates how the allure and use of metrics disorients higher education professionals from utilizing sound judgment when it comes to evaluating their work. Though I was a huge fan of The Tyranny of Metrics, readers must remember that at the end of the day Mueller is a historian. He was already agitated towards the subject matter prior to writing the book—hence the text has a particular tone. Would other authors whose backgrounds heavily rely on quantitative data use such strong language as “tyranny?” Perhaps those in the sciences would see metrics not as oppressive, but as freeing. Large swaths of data open our eyes and give us give us better insight into a culture’s functions. And although Muller does a commendable job scratching the surface of metric misuse in various societal structures, some readers may be left wanting a more detailed account in particular areas. In reality, entire books could be devoted to the fields he addresses. Perhaps readers with a focused area of expertise would find these chapters limited and lacking. These qualifications notwithstanding, readers from a variety of backgrounds and perspectives would benefit from engaging Muller’s account of metric fixation. Since this is a review for the Front Porch Republic, I could not leave Muller’s text without considering the implications metrics have for particular places. Quantitative data does not just remain in the thin air of the computing cloud but reaches down to reshape embodied communities. In essence, statistical analysis begins to influence our imaginations surrounding our neighbors and communities. Not to oversimplify the matter, but let us consider the notion of a Google review for a local restaurant. I think of my own town. One breakfast place has a rating of 3.9/5 stars while the other has a 4.5/5 stars. Since when did we have the need to give pancakes a rating? Both establishments are locally owned, equally pleasant, clean, and have traditional Midwestern breakfasts. The menus are practically the same. Yet can one establishment’s bacon and eggs truly be .6 stars ahead of the other? Perhaps. But in essence, reviews such as this divorced from a local community are rather banal. We are fickle as humans and tend to long for the ideal. At our worst we become suspicious and discontent with our average 3.9 star breakfast, and in turn lose sight of the cook in the kitchen. We begin to idealize and imagine the unattainable 5 star breakfast. We theorize that breakfast perfection could be found at the next town over, or in the bigger city. All the while the cook and restaurant owner are striving to make a living and to take pride in work done well. Perhaps if we knew these individuals, we would be more gracious in our Google reviews. Taking a step back the same logic is often directed towards our local institutions such as schools, public safety, or government officials. How often are we misguided by inaccurate or meaningless metrics and become dissatisfied with our neighbors and community? Perhaps our metric fixation has become one of the forces eroding our local communities. The process of “measuring up” instills fears, jealousy, and insecurities in the mind and heart of the listener. At their best, metrics can act as the town prophet. That is, quantitative data has the power to draw our attention to injustices within our communities. They challenge both the status quo and our subconscious biases. For instance, if a local school is not adequately performing, the community should be mindful and challenge the administration. Or, if a particular demographic of individuals is showing up at a higher rate on police reports, the local community should challenge law enforcement practices. Metrics within the context of community can bring accountability, and perhaps offer the foundation for local reform. May we heed Muller’s advice, especially within the context of our local communities, to allow our judgment to inform our understanding of metrics, while remaining cautious of metrics informing our judgment (p. 183). Jeffrey Tabone lives and works in Spring Arbor, MI. 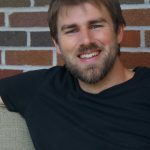 He has worked in student affairs for the past 10 years, and earned his B.A. in Philosophy from Messiah College, M.A. in Spiritual Formation from Spring Arbor University, and a Ph.D. in Higher, Adult, and Lifelong Education from Michigan State University. I can’t remember where I heard this, but I’m reminded of a line that I heard in the context of a discussion of quantitative methods in the discipline of history: if you can’t count what matters, make what you can count matter. I would guess that this evaluative shift happens often, even though I appreciate your attempt to be evenhanded about chastened uses of metrics.